During summer, people tend to use more water at home. From spending time in the pool to watering the lawn to washing the car, many different activities can increase water consumption. If you want to save more water at home during the hotter months, there are a few essential tips to follow. Showers on residential properties often use quite a bit of water, so installing water-efficient showerheads is one easy way to save water all year long. You can also take shorter showers less frequently to reduce your water consumption. Consider keeping your shower under five minutes to only use what is needed. You can also keep a bucket in the shower to catch excess water that falls and recycle it to water plants in your yard. Low-flow toilets are more efficient because they use less water each time you flush. If you want to conserve more water on your property, you should water your lawn at the right time of the day. Watering early in the morning prevents the water from evaporating and allows the soil to fully absorb the moisture. It’s also a good idea to adjust the water sprinklers and test them to make sure that they’re not hitting the sidewalks or driveway. Installing drought-tolerant plants in the summer season or adding artificial turf in your yard can also limit the amount of water that is used on your landscaping. Laying down mulch around the base of your plants helps retain more moisture and can also prevent weeds from growing, which helps you to save more water throughout the season. 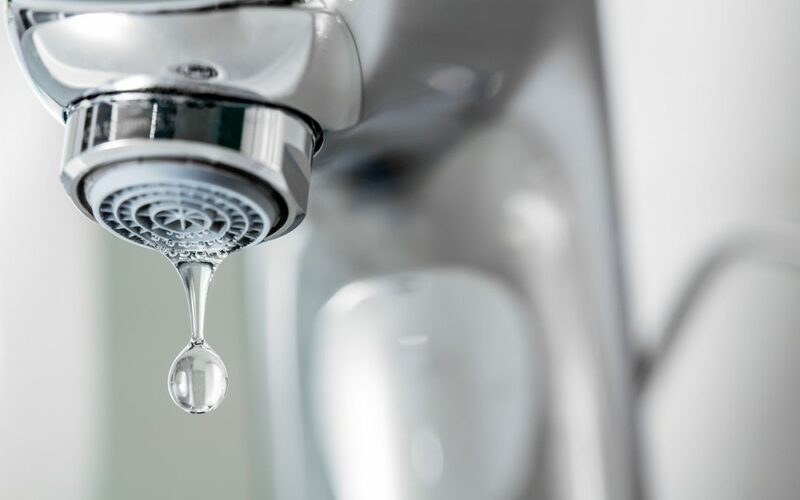 Dripping faucets in your home can waste over 2,000 gallons of water annually, so it’s important to perform any needed repairs as soon as possible. Leaks that are neglected can increase in severity over time and will continue to increase your water bill. Purchase a faucet-repair kit at your local home improvement store and follow the instruction manual to repair the leak, or call a plumber if it’s beyond your comfort zone. Save more water by installing an efficient washing machine that conserves more water than an older unit. Only wash full loads or adjust the setting if you are washing a partial load. Don’t use the permanent press setting, which uses extra water during the final rinse cycle. You can even replace your rubber-water supply hoses with braided stainless-steel hoses that are more durable and less prone to cracks, which can cause leaks to develop. Insulating the pipes is a proven way to save more water because the water heats up more quickly, so you can hop in the shower quicker or start rinsing off the dishes immediately instead of waiting for the water to become warm. Use thick foam rubber insulation on each hot-water supply pipe in the building to shorten the time it takes for the hot water to come out of the faucets. Saving water during the summer season doesn’t have to require a lot of effort or planning. By taking these simple steps, you can save more water and reduce your global footprint while saving more money in the summer. Eagle 1 Home Inspection Services serves San Bernardino County and Riverside County with home inspection services. Contact us to schedule an appointment.